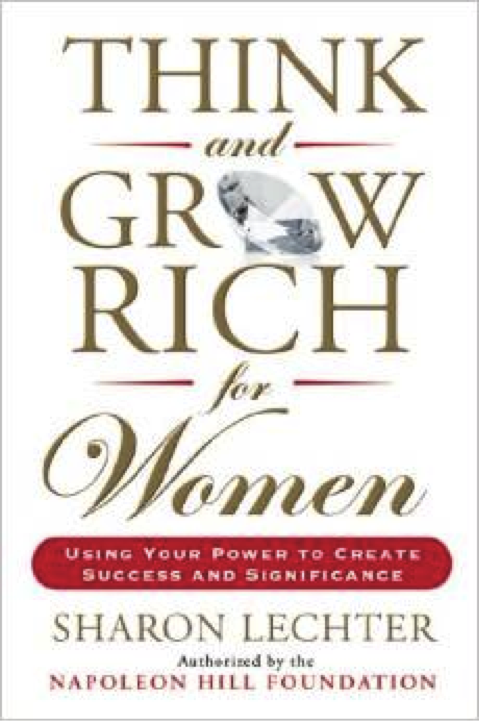 Calling All Women to" Think and Grow Rich!" According to Lechter, “If women would stop fighting and pointing fingers at each other, and instead focus on celebrating each other and lifting each other up, miraculous things would happen.” I couldn’t agree more! Although women’s salaries are still trailing men’s by a significant margin, we’re a pretty powerful bunch. In light of our power, women hold only 4.6% of CEO positions within the Fortune 500, and only 14.6% of executive officer positions overall. I found it interesting to learn that Fortune 500 companies with the highest percentage of women directors accomplished high returns on equity. Beyond being an easy, “feel good” read, Lechter’s strategies and suggestions at the end of each chapter geared for businesswomen are smart and right on the money (pun intended! ), as are the enlightening remarks from other female business leaders. For more information about Sharon and her initiatives, including her role on the Commission for Financial Literacy, visit www.sharonlechter.com. Meantime, if you are looking to sell or buy a luxury home, estate, vineyard or winery in Napa Valley or Sonoma, please call me at 707-738-4820 or email me at [email protected]. As a businesswoman myself, I keep up to date on what’s happening in real estate and personal finance on a global basis. Please be sure to LIKE me on Facebook so you can stay informed too!